Welcome to La Joya ISD Fine Arts Department! 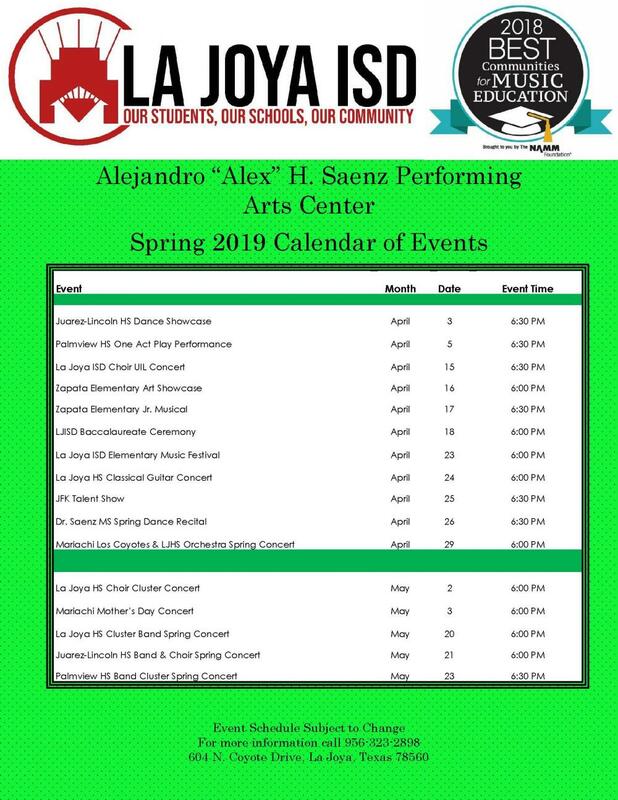 The mission of La Joya ISD’s Fine Arts Department is to provide its students with a wide array of high quality experiences in the areas of music, theatre, art and dance. 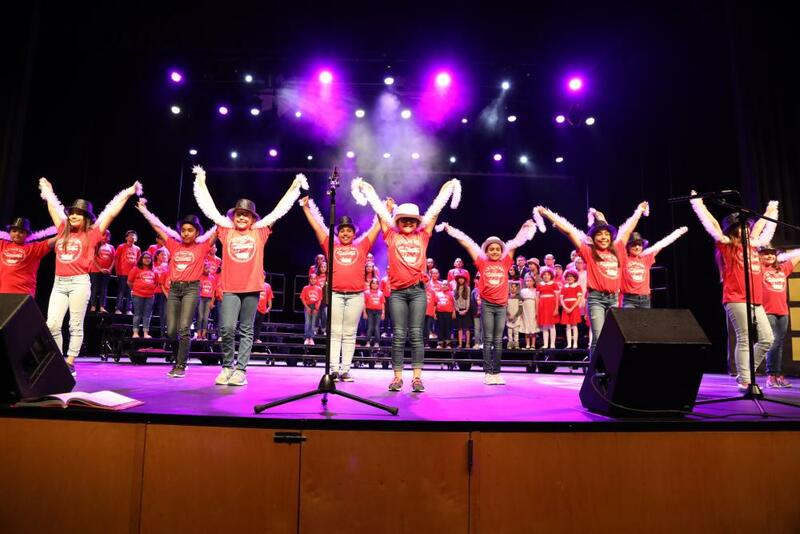 Through creativity, performance and cooperation, the arts contribute to the well-rounded student and build on the skills needed to be successful in the 21st century. Additionally, we strive to provide a positive fine arts experience not only for our students, but also for our teachers, staff and surrounding communities. Forms should be submitted no less than 2 weeks before requested date – NO EXCEPTIONS. It is your responsibility to schedule all pre- and post-production meetings as necessary with the appropriate Fine Arts Department Personnel.